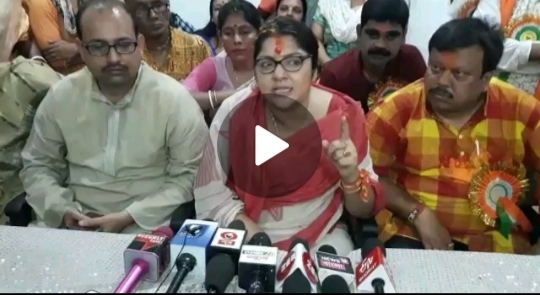 The day after the list for BJP candidates was announced, Hoogli Lok Sabha constituency's candidate Locket Chatterjee kick started her campaign by offering puja at the historic Bansbaria Hanseshwari temple in Hooghly district this afternoon. Chatterjee was accompanied by a host of local BJP workers when she offered puja at the holy temple . 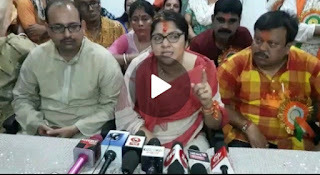 After that she addressed the press where she took a dig at the present government saying ,"one after the other factories are closing down in the district but the state government is least bothered about that. So Amit Shah has shown faith on me and handed me over the candidacy from this constituency." She further added that she will be present personally post electoral season to meet the issues of the BJP workers who are being tortured by the ruling party.